Oracle continues to expose students to computer science skills and careers through its longtime relationship with MESA. 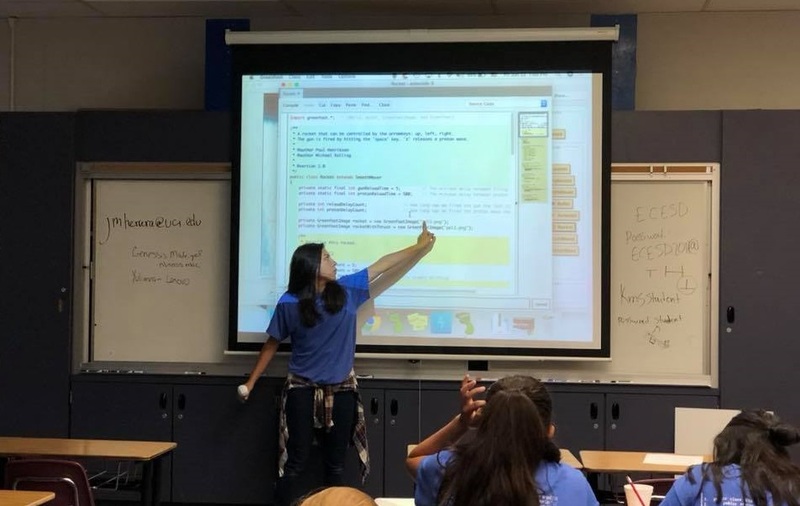 This summer MESA conducted 4 JAVA programming camps at UC Santa Barbara, UC Riverside, and Imperial Valley thanks to a generous grant from Oracle. Students learned the basics of JAVA and put their newfound knowledge to use in fun ways such as creating video games, designing websites, and making music. Students also got a chance to tour UC campuses, meet MESA alumni and current college students pursuing degrees in computer science, as well explore career options by visiting local companies that rely computer science graduates, including Procore and Lockheed Martin. Overall, fifty-four percent of the students were female, 64 percent qualified for free/reduced lunch and 78 percent would be the first in their family to go to college. The coding fun will continue into the fall. Camps will be held at CSU Fresno and San Diego State as well as follow up Saturday Academies at all five sites throughout fall 2018, targeting additional middle and high school students, as well as workshops for parents and teachers. Saturday Academies will focus on incorporating components on robotics, cybersecurity, other programming languages such as Python, in addition to exposing students to a variety of career options by connecting students with MESA alumni who have computer science careers. The grant builds on years of support and collaboration between MESA and the tech giant. Oracle Academy has also supported Java trainings for teachers, summer coding camps for MESA students and Alice and Greenfoot coding competitions. Oracle has funded MESA teachers attending computer science education conferences and the Oracle Education Foundation organized web-based problem-solving competitions for MESA students. Since 2013, Oracle has awarded MESA more than $130,000 and furthered the commitment to uplift computer science education for underserved students. A focus on computer science exposure in low-performing schools is a key tenant of MESA’s mission to provide high-quality science, technology, engineering and math curriculum to educationally disadvantaged students. We thank Oracle for their commitment in helping us achieve that goal.